« SPECTACULAR Master-Planned Transit-Oriented West Coquitlam LOUGHEED HEIGHTS Condo Development Now Selling! The Leveson is a new West Side condo project located at Granville and West 62nd Avenue Vancouver where home buyers will find luxury urban Granville Residences for presale. This exquisite collection of boutique homes in the heart of the vibrant West Side Vancouver neighbourhood feature flawless details, spacious interior floor plans and expansive outdoor patios and living spaces for the ultimate urban experience. Setting a new standard in distinguished design, the West Side Vancouver Leveson Granville Residences will feature a comprehensive variety of floor plans that range from 1, 2 and 3 bedroom plans with sizes between 476 square feet to over 1,350 square feet (in interior space). In addition, during presales at The Leveson Vancouver Granville Residences, homebuyers can purchase a brand new home from just the mid $300,000’s. The grand opening weekend is February 13th, 2015, but presales will continue past that date. The presentation gallery and display home for the presale Vancouver West Side Leveson condos is located at 8188 Granville Street Vancouver BC. The grand opening event will be catered by Roaming Dragon. The Leveson Vancouver is brought to the market by boutique builder Coromandel Properties and marketed by BLVD. The Leveson is a rare residential community where every element comes together perfectly in a cohesive, well crafted whole. The interiors for the West Side Vancouver Leveson luxury residences is designed by award winning firm Cristina Oberti and the modern yet timeless architecture is by Gateway Architecture. Please visit www.levesonliving.com for more details about this spectacular new release of luxury urban Granville Residences now selling or you can also register on this page for more details as they are released. 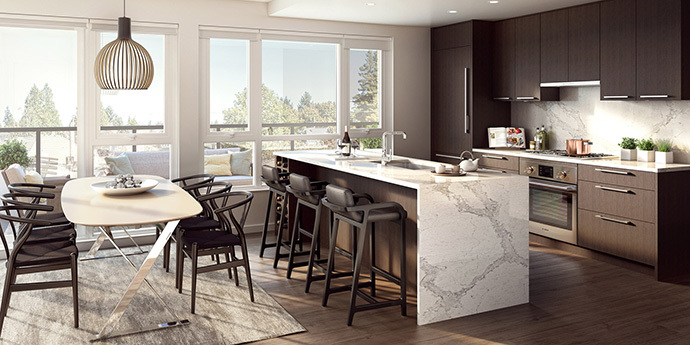 Located in the every changing and very exciting neighbourhood of Marpole South Vancouver, The Leveson luxury residences features exceptional liveability and walkability for residents. The intimate small town feel of this Marpole community coupled with the extensive array of urban amenities at your doorstep make for a great place for any couple or family to call home. 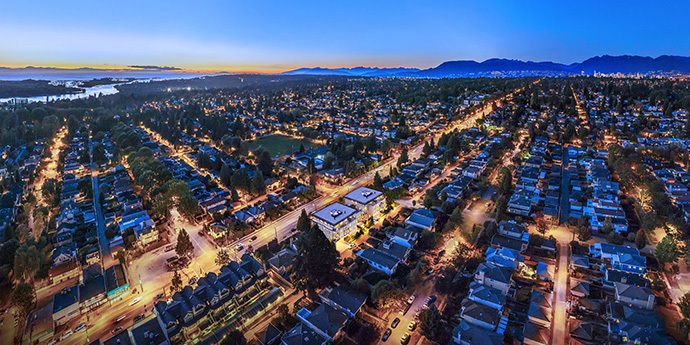 There are numerous riverside parks, tree lined streets, quaint cafes and fine dining along the South Granville Marpole strip and The Leveson West Side residences will be located at 62nd and Granville, an enviable place centrally located in the heart of the city. Easy access to transit routes including the SkyTrain make it the perfect location between Richmond/YVR, Vancouver and downtown Vancouver. As mentioned above, the interior finishes are designed by Cristina Oberti, an award winning firm. The Leveson’s interiors radiate both warmth and timeless elegance, with a refined and unique West Coast aesthetic enhanced with beautiful natural materials, engineered hardwood floors and premium finishes throughout the homes. Also, The Leveson Vancouver luxury residences will feature spacious and open floor plans that are suited for every day pleasures as well as hosting friends and families for group occasions. The kitchens are chef-inspired, with integrated Bosch appliances, sleek quartz Caesarstone counters (with waterfall edges) and Kohler fixtures to name a few highlights. 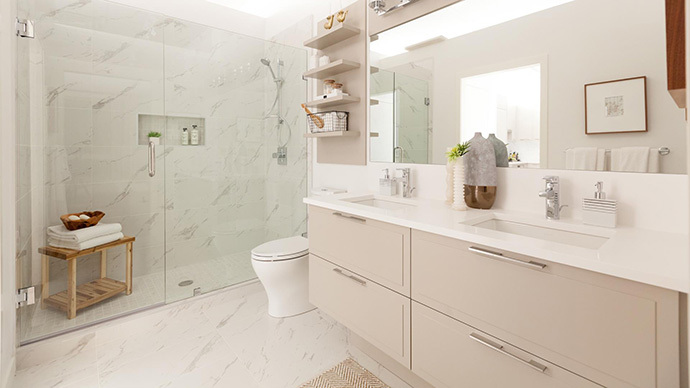 The master ensuites will be equally impressive and well finished with deep soaker tubs, frameless glass showers and the finest fixtures you can find. Best of all are the impressive outdoor living spaces and patios, which extend your interior living space outwards. The Leveson is a posh new building on the West Side of Vancouver. The interiors are definitely a great selling feature with the use of natural materials to reflect its beautiful surroundings. Flexibility in space and design are key elements to the interiors of these luxury residences. The modern natural look at The Leveson Vancouver West Side residences is achieved by keeping the design simple, clean and minimalist. Simplicity is definitely key: the use of a few materials that are striking yet complementary and by pairing natural materials like marble or wood with modern elements like glass and chrome finishes work very well. Cristina Oberta Interior Design has also carefully selected two colour palettes for pre-sale homebuyers to choose from. The boutique development in Marpole South Vancouver will feature only 40 sophisticated residences. The established yet renewed neighbourhood will welcome the addition of the modern residential project designed by Gateway Architecture that features a clean façade that is anchored by rich brickwork and clean lines. Although traditional in design, The Leveson architecture is also very modern. 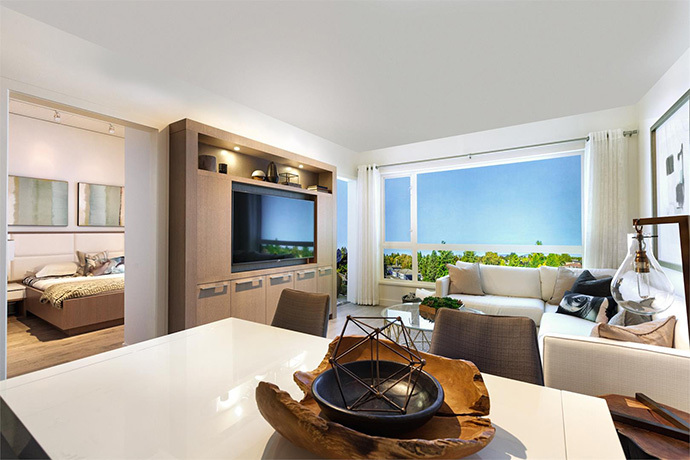 The low-rise is only four storeys in height and because of its site location will take advantage of picturesque city views and provide ample interior natural light to the residences. The Leveson Vancouver will also feature an on-site children’s play area outside as well as community green spaces. For more information, please visit The Leveson web site at www.levesonliving.com. Luxury and liveability is now available on Vancouver’s West Side.